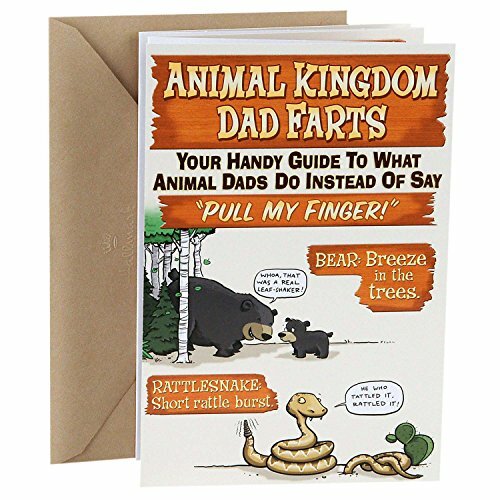 Front Message: ANIMAL KINGDOM DAD FARTS Your handy guide to what animal dads do instead of say "Pull my finger!" 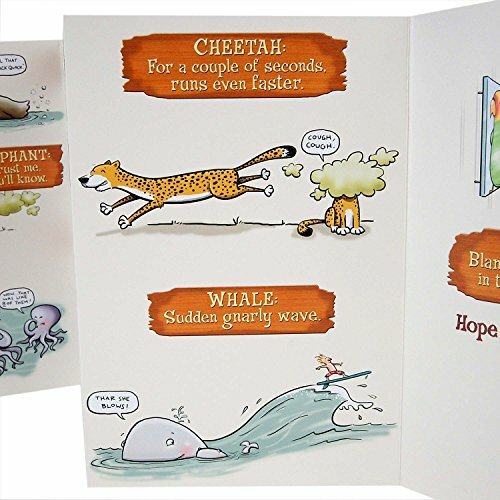 BEAR: Breeze in the trees. 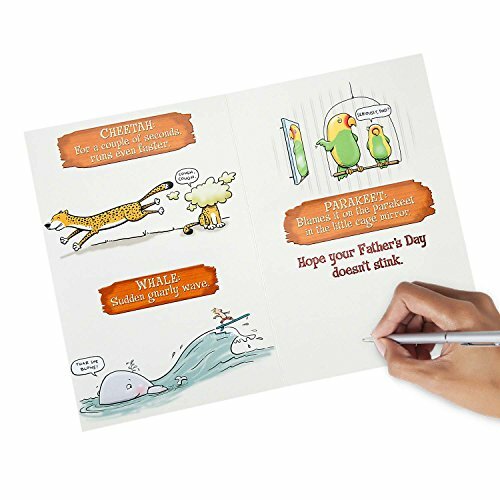 Whoa, that was a real leaf-shaker! RATTLESNAKE: Short rattle burst. 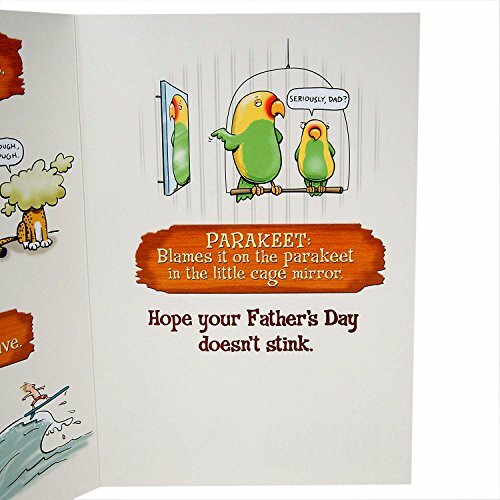 He who tattled it rattled it! 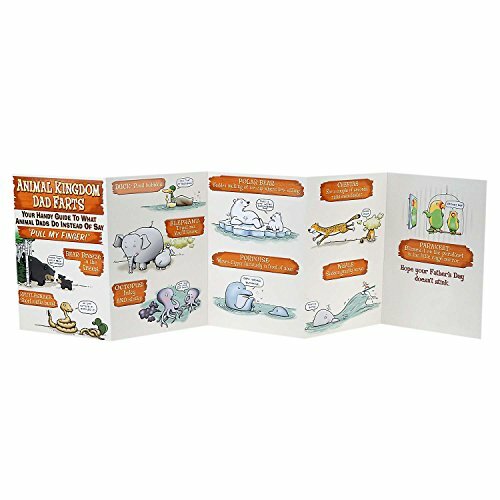 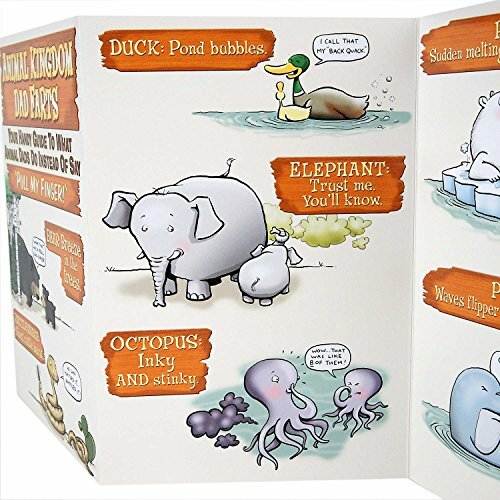 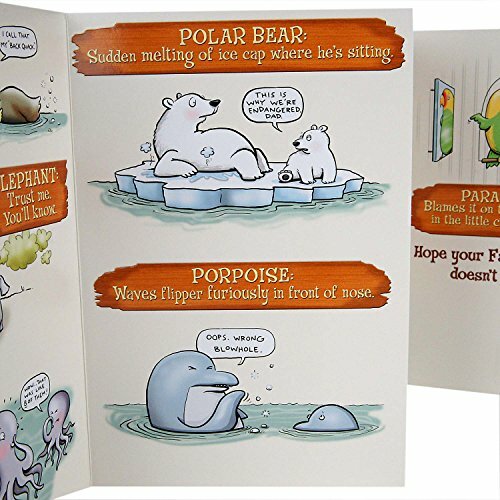 This card's design features illustrations of father animals with their children.